The continuing interest underpinning my research is that of the self-presentation of the non-native speaker, in different genres. This has led me to work on: culturally determined practices; cross-cultural comparisons; and on intercultural behaviour, how this is conceptualized and how, in practice, encounters between different expectations of appropriate behaviour play out. One focus of my attention has been the proliferation of new intercultural encounters which are made possible by online technologies. In particular, Juliana de Nooy and I undertook a project examining discussion fora on media websites, culminating in our 2009 book. The pedagogical implications of this work, and my own teaching practices have allowed me to develop expertise in language learning and technology which I have extended through other collaborations (e.g. Cowley & Hanna, 2013 on Wikipedia) research supervisions and publications which derive from it (Gao & Hanna, 2016, on instructional software). My current project focuses on another critical area of intercultural contact: Study Abroad experiences. Many institutions encourage Study Abroad participants to share their experiences online with other students, with a view to publicizing the opportunities and providing advice - such testimonials are the primary source for my current work. I am looking at the ‘selves’ which these online testimonials hold up as exemplary (see Hanna 2016 on food; also Hanna & de Nooy 2003 b; 2006). What, the student reader of these testimonials might ask, will I feel like? How will I change? What counts as successful life as a Study Abroad student? How can I be successful too? In order to tackle these questions, I draw on theories of learner motivation and imaginary or ideal selves. 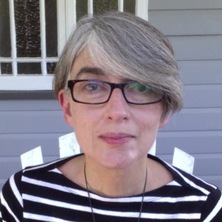 In addition, I am currently working on two funded projects, one on the Transition from school to University French (HASS Teaching and Learning Seed Funding) ; and one on revitalizing assessment within SLC (UQ Teaching Innovation Grant). Language Learner identity (school/university transition; online; incountry). An Investigation of the Integration of Synchronous Online Tools to Deliver Task-Based Language Teaching: The Example of SpeakApps. Soi-disant: Life Writing in French 1st American ed. Edited by De Nooy, Juliana, Hardwick, Joseph B. and Hanna, Barbara E. Newark DE: University of Delaware Press, 2005. Cryle, P, Freadman, A. and Hanna, B. Unlocking Australia's language potential: Profiles of 9 key languages in Australia (Vol. 3: French). Canberra: National Languages & Literacy Institute of Australia, 1993. Hanna, Barbara and Toohey, Alicia (2010). Visions and revisions: Language learning for cultural mediation. In Jean Fornasiero and Colette Mrowa-Hopkins (Ed. ), Explorations and encounters in French (pp. 195-214) Adelaide, Australia: University of Adelaide Press. Hanna, Barbara E. and de Nooy, Juliana (2009). A Funny Thing Happened on the Way to the Forum: Learners' Participation Strategies. In A Funny Thing Happened on the Way to the Forum: Learners' Participation Strategies (pp. 104-+) BASINGSTOKE: PALGRAVE. Hanna, Barbara E. and de Nooy, Juliana (2009). Culture and Online Communication. In Culture and Online Communication (pp. 19-+) BASINGSTOKE: PALGRAVE. Hanna, Barbara E. and de Nooy, Juliana (2009). Debate or Conversation? French and British Public Internet Discussion. In Debate or Conversation? French and British Public Internet Discussion (pp. 50-+) BASINGSTOKE: PALGRAVE. Hanna, Barbara E. and de Nooy, Juliana (2009). Face Off: Identity in Online Debate. In Face Off: Identity in Online Debate (pp. 119-+) BASINGSTOKE: PALGRAVE. Hanna, Barbara E. and de Nooy, Juliana (2009). Learning Language and Culture via Public Internet Discussion Forums Introduction. In Learning Language and Culture via Public Internet Discussion Forums Introduction (pp. 1-+) BASINGSTOKE: PALGRAVE. Plus ca change ...: Are Online Cultural Differences Fading Over Time? Hanna, Barbara E. and de Nooy, Juliana (2009). Plus ca change ...: Are Online Cultural Differences Fading Over Time?. In Plus ca change ...: Are Online Cultural Differences Fading Over Time? (pp. 73-+) BASINGSTOKE: PALGRAVE. Hanna, Barbara E. and de Nooy, Juliana (2009). Public Discussion Forums as a Tool for Language Learning. In Public Discussion Forums as a Tool for Language Learning (pp. 85-+) BASINGSTOKE: PALGRAVE. Hanna, Barbara E. and de Nooy, Juliana (2009). Towards Intercultural Discussion: Getting Off on the Right Foot(ing). In Towards Intercultural Discussion: Getting Off on the Right Foot(ing) (pp. 135-+) BASINGSTOKE: PALGRAVE. Hanna, Barbara E. and de Nooy, Juliana (2009). Using Public Internet Forums to Develop French Argumentation Skills. In Using Public Internet Forums to Develop French Argumentation Skills (pp. 155-+) BASINGSTOKE: PALGRAVE. Is there a class in this room? Cowley, P. and Hanna, B. (2000). Is there a class in this room?. In Teaching Languages, Teaching Cultures (pp. 119-129) Melbourne, Australia: Applied Linguistics Association of Australia; Language Australia. Hanna, B (1992). Justifying gestures. In P. Cryle, A. Freadman and J. Lackerez (Ed. ), In the place of French: Essays on and around French studies in honour of Michael Spencer (pp. 191-207) Brisbane: University of Queensland. Rolin-Ianziti, Jeanne and Hanna, Barbara E. (2010) Introduction: Turn of the century innovations in language teaching. Flinders University Languages Group Online Review, 4 2: 1-18. Hanna, Barbara Elizabeth and De Nooy, Juliana (2006) The Seduction of Sarah: travel memoirs and intercultural learning. Portal: Journal of Multidisciplinary International Studies, 3 2: 1-17. Hanna, Barbara E. (2005) Review of Michael Byram, Adam Nichols and David Stevens(eds), Developing intercultural competence in practice. Clevedon: Multilingual Matters (2001). Australian Review of Applied Linguistics, 28 2: 83-86. De Nooy, Juliana. and Hanna, Barbara E. (2003) 'I had zero information': Australian students returning from study in France. Carnet Austral, 18: 4-10. De Nooy, Juliana. and Hanna, Barbara E. (2003) A funny thing happened on the way to the forum: Electronic discussion and foreign language learning. Language, Learning and Technology, 7 1: 71-85. Cowley, P. and Hanna, B. (1997) Is there a class in this room?. Australian Review of Applied Linguistics Series S, 14 119-134. Hanna, B. (1996) Spies like us: Thoughts on cultural conformity and language teaching. Australian Journal of French Studies, 33 2: 262-277. Hanna, B. and Toohey, A. (2005). When internationalization meets assessment. In: C. Bailey and K. Barnett, Proceedings of Social Change in the 21st Century 2005. Social Change in the 21st Century 2005, Brisbane, Australia, (1-17). 28 October 2005. Hanna, Barbara (2002). Plus ca change: Social change and new cultural practices: The case of French internet fora. In: E.J. Woodley, E. L. Buys and J. A. Summerville, Social Change in the 21st Century 2002, Brisbane, Australia, (1-13). 22 November 2002. Hanna, B., Atherton, B., Bourke, B. and Lewis, A. (1994). Interactive multimedia for teaching French, German and Japanese. In: Michael Ryan, APITITE 94: Proceedings : Asia Pacific Information Technology in Training and Education Conference and Exhibition. Asia Pacific Information Technology in Training and Education Conference and Exhibition, Brisbane, Australia, (). 28 June-2 July. Affordances of ICTs: An environmental study of a French language unit offered at university level.